This patch adds a 'Tweet Link' option to the Browser Menu under Page it will launch Twee and compose a tweet containing the page title and URL. 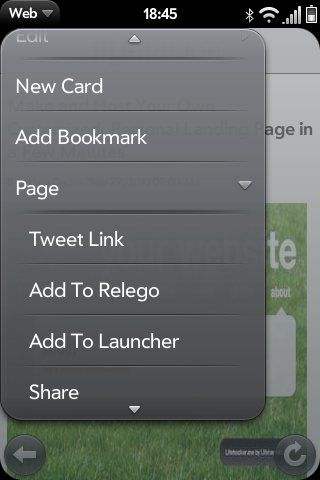 It also adds an 'Add to Relego' option in the same menu. For use with the WOR Read It later client. Thanks to the authors of the Add to Relego and Add to Spare Time patches for the inspiration for this patch and @deliciousmorsel the Twee devs for creating a cross app API to plug into.